Sorry, this job expired on Jan 5, 2018. Below are other jobs that may be of interest to you. 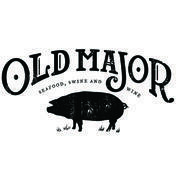 Old Major serves elevated farm inspired American cuisine focused on seafood, swine & wine. With an in-house butchery and charcuterie program, sustainable seafood and ingredients sourced from local farms, Old Major was named one of 5280 Magazine’s Best New Restaurants in 2013 and Best Restaurants in 2014, 2015, & 2016. As well as Bon Appetit Magazine’s Top 50 New Restaurants in America in 2014. We are a tight-knit group of passionate folks doing things a little differently. We are friends with our farmers and fishermen. We focus on heritage-raised meats from Colorado farms we know and respect. Our in-house, nose-to-tail butchery program makes the most of these quality meats. Old Major serves a limited selection of fine, sustainable seafood using sourced ingredients from local farms. It’s an honest approach to doing food right. It all comes together in what we like to call elevated farmhouse cuisine. Old Major is looking for an experienced, talented, and passionate Chef de Cuisine (CDC). The CDC is responsible for assisting in the direction and administration of the planning, preparation, production and control of all culinary operations within the restaurant while continuing effort to deliver outstanding guest service and financial profitability. The CDC will assist Chef/Owner Justin Brunson in the direction and oversight of all culinary operations, to include, but not limited to, preparation and production of all meals, food quality and presentation, compliance with all safety and sanitation standards and regulation, team member productivity and performance, implementation of policies and procedures, cost controls and overall profitability. The CDC will assist Chef Brunson by interacting with guests to monitor and assess satisfaction trends, evaluate and address issues and make improvements accordingly.